We are a family run business specializing in converting unused or cluttered loft spaces into stylish, space efficient rooms. With the combined experience of over 50 years our experienced team are fully CRB CHECKED and a Which? Trusted Trader who will stop at nothing to ensure you get the most professional, reliable service, and best value for money. Here at Top Loft Company, we pride ourselves on providing a high quality of workmanship, using all the best quality materials to ensure your home looks amazing, not only when it is completed but for many years to come. Getting a loft conversion is a great way to gain an extra usable room in your home, at much less cost and hassle than moving to a larger house, or getting an extension. 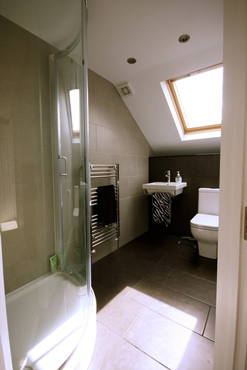 Loft conversions are also a solid investment, making your property much more appealing to potential buyers, or even increasing rental value with the prospect of an extra bedroom or office space. If you are considering making your home more spacious by having your loft converted, please don't hesitate to contact us. We are available any time and will be more than happy to provide you with more details or answer any queries you may have. We only undertake loft conversions and, therefore, have a totally focused belief that it will be the right loft conversion for you. We work together with you whether you require Plans to be drawn up for you or you have your own or whether you require a full conversion to plaster finish or just a 1st fix. Statistics show that an average loft conversion costs approximately one-third of the cost of moving to a property with an extra room. But, do bear in mind that it's still usually easier to do a standard extension on a house than it is to convert a loft. Of course, a converted loft should increase the value of your house though. Depending on what options you go for, and because every house is different, the cost of converting a loft can vary considerably.